Clove Bud Eugenia caryophyllata essential oil is a beautiful aromatic oil. It’s aroma, like most spicy aromas, is beautiful in holiday blends, perfumes and blends that you have created specifically for the aroma. Clove bud is also a powerful therapeutic oil. All essential oils are made of chemical ‘families’. Some are more gentle than others, such as those in Lavender. However, some are not so gentle to our skin or mucous membranes because they are high irritants. Clove contains one of the irritant chemical families and within that family, is a not so nice component. The chemical family is Phenols and the component is Eugenol. Eugenol can be irritating to the skin and mucous membranes ​when not diluted to a safe level and used according to the safety suggestions outlined by Robert Tisserand in his book. The overall chemistry of an essential oil is what gives it the therapeutic effects and aroma. If used safely, it serves many uses. Cloves therapeutic properties include ​antimicrobial, expectorant, antiseptic, antioxidant, anti-inflammatory, antibacterial and anti-fungal, stimulant (general, digestive, sexual), stomachic, aphrodisiac, vermifuge, hypertensive, carminative, ​as well as other properties. Clove Bud has the following suggested dilution rates. Keep in mind that these rates are based on the average healthy person. If your skin is sensitive and this would apply to the elderly, reduce your maximum suggested by half or where you feel is suitable. For children, many children do not fit the ‘average’ charts. Based your decision on your child/children. Maximum rates are based on research and helps to protect our skin and other reactions. Some oils are toxic internally when used topically. Try to follow the safety suggestions outlined by experts such as Robert Tisserand, Dr. Jean Valnet or Sylla Sheppard-Hanger. Follow the expert advice, not a company or sales person. On average, 6-9% to one ounce of carrier equals to 1%. I use 9 drops and feel comfortable at this rate. 3-24 months old, do not use; 2-6 years old, maximum of 0.1%; 6-15 years old, maximum 0.25%; 15 plus Tisserand recommends no more than 0.5% and this is for those that are pregnant as well. This is a lovely oil when used wisely. Quick Links: For your convenience, here are store links to items we mentioned in this article. Has a medium‐strength spicy, warm, and slightly fruity aroma presenting a top-middle fragrance note. Clove is warming, stimulates the blood vessels, eases tension, alleviates fatigue and headaches. Blend the following and apply to back of neck, head and temples. Keep away from eyes. Not for children under 10 years of age. Massage clove oil into your temples, forehead and/or the back or your neck for ﻿headache relief. The oil quickly reduces inflammation and pain. Add 15 drops of blend (not the carrier oil) to your diffuser and run it for 30 to 60 minutes, with 30-minute breaks in between. Since some oils can be neurotoxic, especially with children, it’s best not to diffuse all night. Over exposure can have negative neurological effects and possible lethargy. Clove can contain up to or around ​70% Eugenol, a chemical component that is highly irritating ​to the mouth ​and mucous membranes or and sensitive skin. However, regular clove oil may assist or gargling with warm salt water. Important Note: Whatever you choose for an oil, make sure that the oils you purchase are high quality. Remember, you're breathing this oil into your lungs so essential oil quality is a terrible place to cut corners. Clove Bud is a great antiseptic, although must be used at a very low dilution rate. The maximum for healthy adult skin is suggested at 0.5%. The following should not be used on children. Find gentler oils for your little ones under 10 years of age. Add blend to one oz. carrier oil and apply liberally to throat and behind ears. Use every 3-4 hours until sore throat eases. The most effective route for head and chest ailments is inhalation. You can also make a topical cream that can be applied to the chest and neck area to soothe the airways through dermal absorption as well as inhalation. There no safety concerns for the oils I’ve chosen to compliment the Clove. By reducing the inflammation and swelling, clove bud essential oils can help to relieve pain and pressure and assist in clearing the mucous membranes. Simply use the same method of diffusion used to relieve your bronchial tubes. However, do not stand over diffuser. When used improperly, clove bud can be a mucous membrane irritant. Clove bud is a powerful anti-infectious oil. It’s also a powerful anti-bacterial oil. Whether due to viral or bacterial infections, Clove bud can help bring relief to achy ears. Apply the following outside the ear with a gentle massage. Leave out the Clove for the little ones and it will still be amazingly effective; just gentler. For a full range of cedar oil products for use on yards, pets, livestock, humans and more, visit Cedarcide. Due to the eugenol content within Clove oil, it’s anti-fungal properties makes it great for fighting pathogenic Candida strains. Candida is a genus of yeasts and is the most common cause of fungal infections worldwide. Clove is an antifungal essential oil. Along with other antifungal essential oils, it can be quite effective in treatment. Blend and spray infected area. This does not contain a preservative. Without a preservative, water-based products ​will grow bacteria if not used within a week and must be stored in the refrigerator. You can learn more about preservatives from Robert Tisserand at Tisserand Institute. Whether your sore muscles are the result of a great workout, strain, injury or another issue, clove bud can add additional relief to a muscle blend. Clove is a functional food that can ameliorate chronic inflammation and autoimmunity. With this in mind, we can imagine the effects of the potent essential oil. Try the following to relieve pain and inflammation from sore muscles. Directions: Blend and apply to sore area every 3-4 hours until relief. Safety Concerns: May cause skin and mucous membrane irritation or sensitization. Observe recommended maximum amounts to keep you and your loved ones safe and healthy. Clove is anti-spasmodic, excellent for dyspnea, nausea, eases colic spasms. To ease symptoms, use the same method for improving your digestive system as mentioned above. ​You can ​diffuse your oils in addition to topical application or create a personal inhaler. I find a personal inhaler relieves the nausea much quicker. Small weights to work upper body. Start low with 1 or 3-pound weights. Don’t have weights? Fill two jars or bottles with water or other items such as gravel or beans for weights. Cardio exercise is a real plus. If limited, try marching your feet in place or arms up and down or whatever suites your ability. Hydrate! Most of us do not get enough water, yet it is one of the easiest weight controls. Grab that water. Stay off the energy drinks. The artificial sweeteners and overload of sugars can slow your metabolism rather than gear it up. And the calories defeat your purpose. Eat smart snacks every few hours such as nuts, fruits, fresh cut vegetables, tuna on wheat crackers, etc. Eat plenty of healthy proteins. Drink black coffee or if your “cup” is tea, green tea is a great option. Stay away from crash diets and instead, make some lifestyle change that is lasting. Although tough at first, our minds become habitual. Practice makes perfect. Adding essential oils such as Thyme can energize, emotionally support your journey and therapeutically keep those aches and pains down through work outs. Try the following at the start of the day and before workouts. Use an inhaler you can take with you to pump your energy to keep going. Along with exercise and diet, Clove essential oil can help improve circulation. It’s warming and comforting. There are many carriers but for circulation, I find Arnica cordifolia infused oil is the best. It’s perfect for treating sore muscles and joints as well as bruising, sprains and strains. Arnica is a rubefacient, meaning it works by bringing more blood (circulation) to the injured or inflamed area. Try the following blend for circulation. Blend and apply to area as needed. Stop use if irritation occurs, although keep in mind that Arnica is a rubefacient so you may feel a slight tingling in the area. If redness or worsening occurs, stop use immediately. Clove essential oil is known as an immunostimulant. 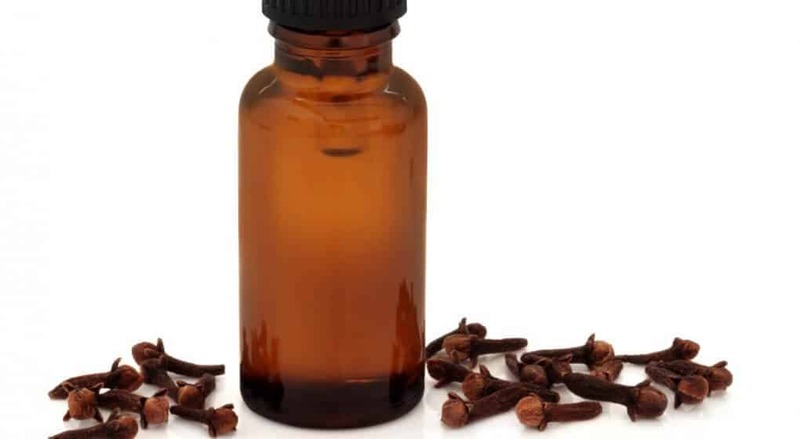 Eugenol, the main chemical component found in Clove bud essential oil, exhibited a significant immunosuppressive effect on DC functions, revealing that clove is a functional food that can ameliorate chronic inflammation and autoimmunity. Clove oil is steam distilled from the tree's flower buds and is used to treat blood impurities, headaches, stress, fatigue, toothache, bronchial conditions, and indigestion. Blend and apply. I like the inner arms, neck or chest where the skin is thinner and more absorbent. Apply prior to and during your romantic time. ...Using Apple Cider Vinegar. Click to Read the Research. Although Clove cannot directly affect your blood sugar levels, it is stimulating and will blend nicely with oils that can affect blood sugar levels, such as Cinnamon. Practice clove essential oil aromatherapy to help keep your blood sugar levels under control. Clove essential oil contains phenols which help the body regulate glucose and insulin. You can add 2 drops of cinnamon oil along with 2 drops of clove oil for added benefits. Massage the 1% clove/carrier oil blend into your feet and hands to relieve numbness and discomfort. With its spicy nature, clove bud essential oil heightens our self-assurance and fosters confidence during challenging times or unexpected changes. This in return, helps to control the stress levels that come with challenges. Blended with other stress reducing oils, Clove adds a warmth and comfort to the blend. Rehne's Pro Tip: "You can also diffuse the blend, especially before bed. Note: *Diffusion should be done at intervals of no more than 30-60 minute on, 30 minutes off." The same method of use and oils that assist with stress can also lower your anxiety levels. You can also create an inhaler to carry with you for those anxious moments. Blend. Prior to bed, apply to chest and neck. Clove essential oil is emotionally and energetically uplifting. Use clove oil aromatherapy or massage to alleviate depression. The same incredible properties that reduce stress and anxiety work to balance your moods and naturally lift your spirits. Rehne's Pro Tip: "Leave out your carrier oil/lotion. Add the blend to your diffuser." Using no more than 0.5%, clove can be a beneficial part of a blend for the skin but must be blended synergistically with skin friendly or other cicatrisant oils. Anything above 0.5% can irritate the skin rather than soothe and heal the skin. A few carrier oil choices that also help to prevent bacteria include, but are certainly not limited to: Avocado, Marula, Neem, and Tamanu oil. Apply to infected area until it clears. Clove is warming and assists with circulation. This along with good hygiene improves our skins beauty. Use along with skin healing oils. Carrier oils have various skin healing properties. During the summer time, I like using light oils for better absorption. Check out our carrier oil article to learn more about skincare and carrier oils. For beautiful smooth skin, try the following. Clove is a powerful antioxidant, antiseptic, and antibacterial. Blend the following and using a q-tip, apply to your acne. I hope this list was helpful for you. Clove has a beautiful aroma and a remarkable list of uses. Observe safety advise and you can enjoy your essential oils safely and effectively. Remember to put your oils in the refrigerator to avoid oxidation. And lock those oils up. The majority of essential oil related injuries is with children and is on the rise. Poison controls across the country have observed increases. Protect your children. Thank you for reading my article. Please visit my other articles to learn safe and effective use of essential oils. Please leave a comment to let me know if you found this list helpful and share your own personal experiences. We can all learn from each other and continue to add to the on-going list of clove essential oil’s incredible uses. Be sure to share, too, so that others can become aware of all the uses for this essential oil. Rehne is a Certified Aromatherapist, medical auditor, and former instructor and educator on anatomy and physiology. Rehne is a professional member and the Central Director for Louisiana for the National Association for Holistic Aromatherapy and a professional member of Alliance of International Aromatherapists. Rehne was trained at the Aromahead Institute with additional courses including: Ayurvedic Application of Essential Oils, Fundamental Chemistry with Dr. Joy Bowles, and Essential Oil Masterclass with Robert and Hana Tisserand. Rehne is passionate about the importance of aromatherapy in a healthy lifestyle. Rehne has written for the (now retired) inline book The Biblical Herbal and continues to enjoy writing for Healthy Living magazine, a publication of Nature’s Warehouse. She is the owner and operator of Soul Essentials Duo in Ponchatoula, La.